Vinyl Disc Records vs. 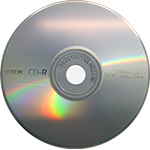 Compact Discs - Just Tell Me Why | Dichotomies, debates and opinions. Which Disc records format do you prefer? Vinyl or compact? There is nothing that compares to the true sound on vinyl. Vinyl is what HiFi is all about, it leaves nothing out. I like the noise it makes instead of being all clean like a CD.